When it comes to at-home acne cures, there is no shortage of treatment methods and old wives' tales. One popular skin remedy is yogurt. This natural astringent is loaded with vitamins and has the ability to nourish skin from both the outside and inside. With many different ways to fight acne (from topical creams, to lotions, prescription medications, and natural ingredients), it can be difficult to understand what really works. Using yogurt has received positive reviews on Acne.org, with users praising its ability to improve the overall appearance of the skin, unclog pores, and reduce redness. Plain, unsweetened yogurt, or thicker types, like Greek yogurt with more bacteria, work best, since probiotics have been found to ease inflammation in the body. 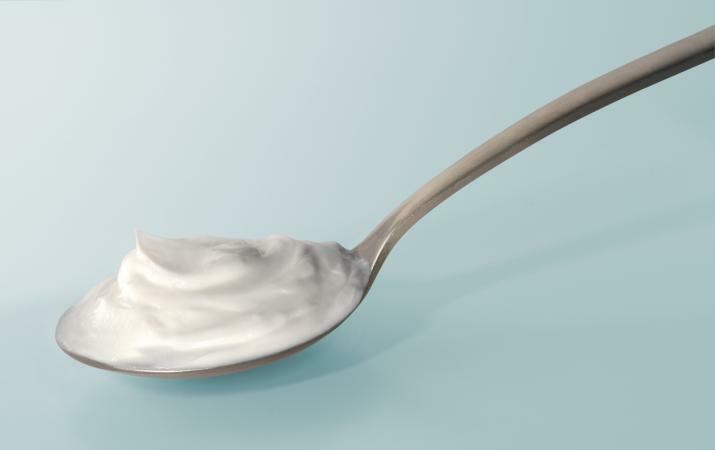 Acne-fighting bacteria such as Lactobacillus acidophilus, Lactobacillus delbrueckii, and the sub-species Bifidobacterium bifidum, are present in many types of yogurt. In addition, yogurt contains lactic acid. (Due to the fermentation process.) This is important as it is a natural antibiotic, which works as an exfoliator and boosts the production of collagen. Plain yogurt also contains nutrients like zinc and vitamin B, which have been found to promote healthy skin. What Makes Acne Scars Vanish? Unlike other acne treatments, yogurt can be used in many ways. For instance, it can be applied topically or incorporated into your diet. Both methods have the ability to impact the skin's overall appearance. One of the most common ways to use yogurt is by applying it as a facial mask. The cultures promote clearer skin while the lactic acid removes dead skin cells. That leads to a gentle exfoliation, unclogged pores, and minimized breakouts. A yogurt mask can also brighten the skin, reduce redness, and fade scars. The best part? Since yogurt is ultra-moisturizing, it won't dry out your skin like many other types of acne treatments. Washing your face with a gentle cleanser and patting the skin dry. Let it sit for ten to fifteen minutes. For a more targeted treatment, mix in other acne-fighting ingredients. 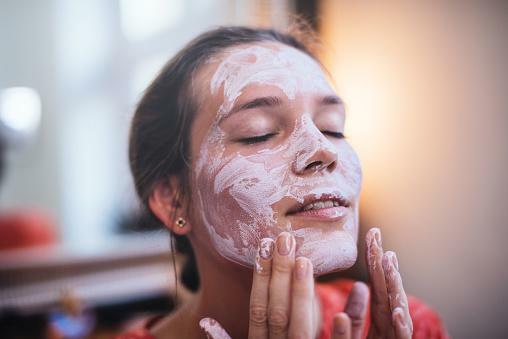 There are many yogurt face mask recipes for acne, including ones with honey (which is very moisturizing), lemon juice (which is a natural astringent), and baking soda (it can balance the pH level of the skin). These items will make your mask even more effective. Adding yogurt to the diet is another way to fight breakouts and blemishes. While there have been many links between dairy and acne, it is not all bad. Though products like milk and processed ice creams can negatively affect your skin, yogurt does not. This is because probiotics reduce inflammation. Internal inflammation can cause breakouts, acne, rosacea, and a number of other skin conditions. This makes yogurt a must-have food item. Add it to your diet by starting your morning off with a parfait (sprinkle on some blueberries for a good serving of anti-oxidants) or incorporate it into a smoothie (get a healthy dose of inspiration with these smoothies for acne). A little yogurt can go a long way. If you don't want to eat yogurt day in and day out, there is another option: probiotic pills. There are a number of associated benefits, including healthy digestion and the ability to fight harmful bacteria. These are a great choice if you are struggling to add yogurt to your diet on a daily basis. While the effectiveness of probiotic supplements is still up for debate, there is a growing body of research on the topic. For instance, Dr. Gordon Jung, along with researchers from the University of Alberta, presented a study at the American Academy of Dermatology (AAD). It found that combining a probiotic supplement with an antibiotic can help people dealing with mild to moderate acne. So, which probiotics should you choose? If you feel confused or overwhelmed, focus on the essentials. According to The Love Vitamin, the most important things to look for are the bacterial count (the higher the count, the better) and the type of bacteria (it should have either Lactobacillus and Bifidobacterium, or both). One probiotic recommended by Clear Skin Forever comes from Garden of Life. Their Ultimate Probiotic Formula boasts immune system support, digestive support, and more. Achieving clear and healthy looking skin is possible, so long as you take a proactive approach to skincare. Adding yogurt to your everyday routine can help minimize redness, inflammation, scarring, and breakouts. From face masks, to foods, and supplements, there are many ways to use this natural remedy.